Disclosure: I was provided a 2016 Mitsubishi Outlander by DriveShop for a week for review purposes. All opinions are my own. I do a lot of driving around Orange County on a daily basis. With each of the kids in 2-3 activities, my social media events, church activities, playdates with friends and just regularlife, we get around all of Orange County all the time. So, when the experts at DriveShop said they had the perfect vehicle for me to run the family around for a week to test drive andgive my opinions on how well it worked for a family of five. Well, things got even more excitingwhen my little sister and her two friends decided to come to my house for their graduation trip,so we became a family of eight for the week. 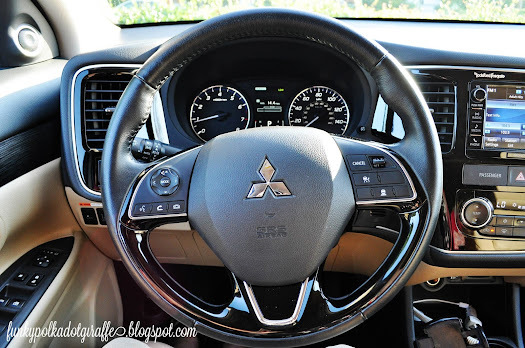 And I have to say, 2016 Mitsubishi Outlander rose to the challenge and got us where we needed to go flawlessly and in style! 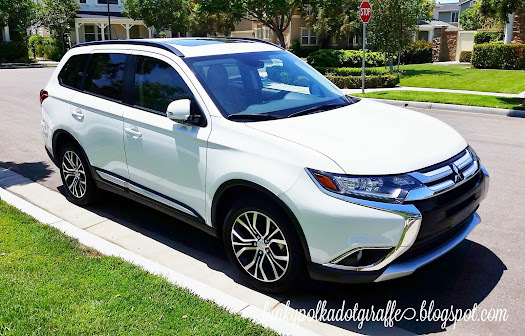 I'm sharing the TOP TEN THINGS I LOVE ABOUT THE MITSUBISHI OUTLANDER, so come along and find out about this great 4-door SUV and why it could be perfect for your family of five (or eight)! I currently use my phone navigation to get wherever I need to go. But then when I'm driving I have to make sure I have my car charger with me, because it drains a lot of battery juice to keep the screen on so I can see where I going. 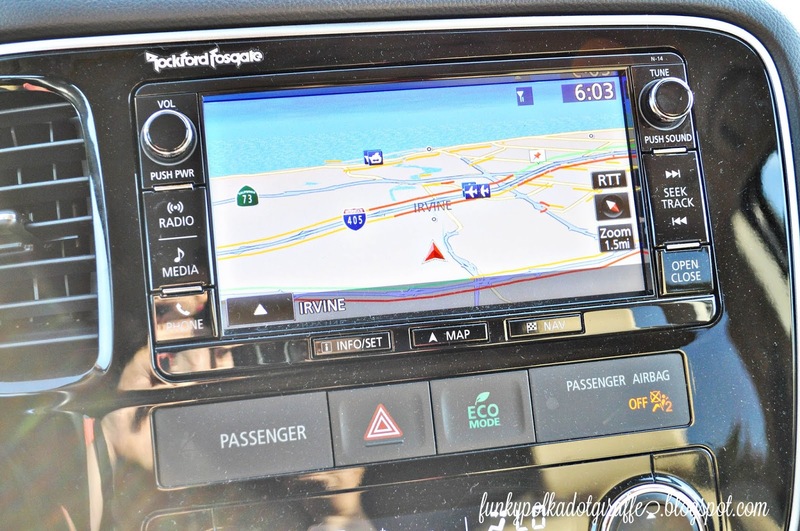 This is all solved with the on-board navigation system. 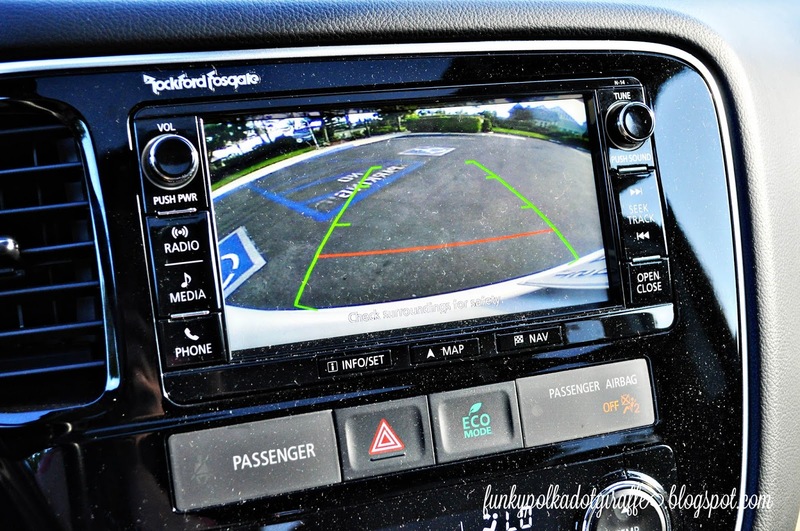 It makes it easy to enter your destination and it speaks the directions out loud through the sound system, so you can be truly hands-free and keep your eyes on the road. I really appreciate when all my controls are in one spot and I don't have to fiddle with the dashboard while I'm driving trying to turn up the radio or answer an incoming call. 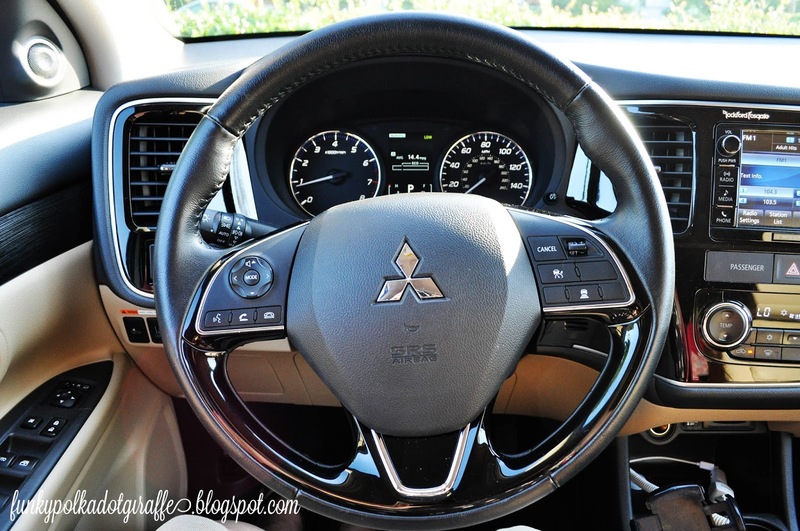 The 2016 Mitsubishi Outlander makes it a breeze to move your thumb a bit to the left or right and have all those controls at your fingertips. He's hot, I'm cold, I'm cold, he's hot, you know how it goes with men and women, we're never quite feeling it at the same time. 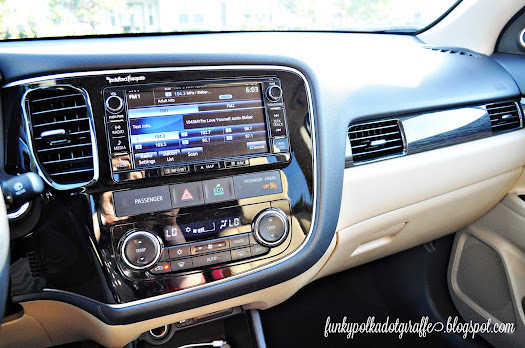 I like the option to choose my temperature, while leaving him the option to turn it up or down if our body temps are in sync I also appreciate the recirculate option to get a little more A/C boost when it is especially warm outside. Is that shallow? I just think it is a pretty car with a great external design. I know it's a 4-door SUV, but it isn't overly bulky or humongous like some SUVs on the market. It is easily parked like a normal person and I don't fear that I am taking up two parking spaces because of it's shear size. 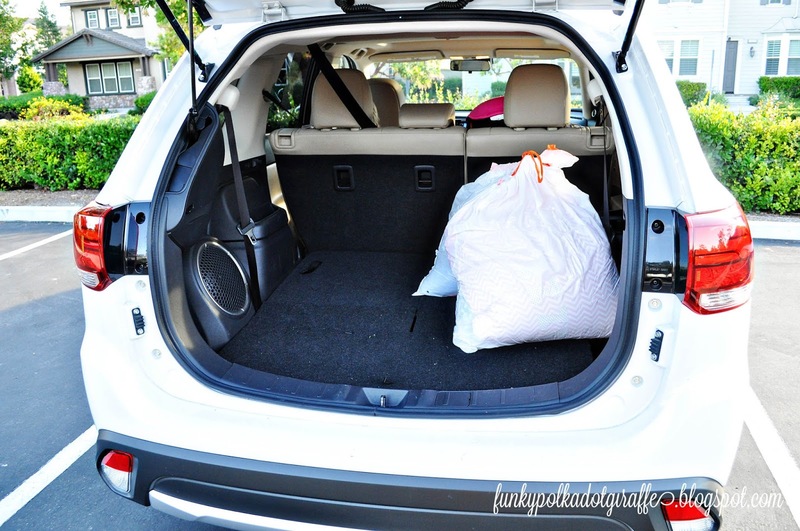 I've never own a white vehicle, but after driving one for a week I would consider purchasing one in the future because it just looks clean and sparkly! It really is all about that bass for me. 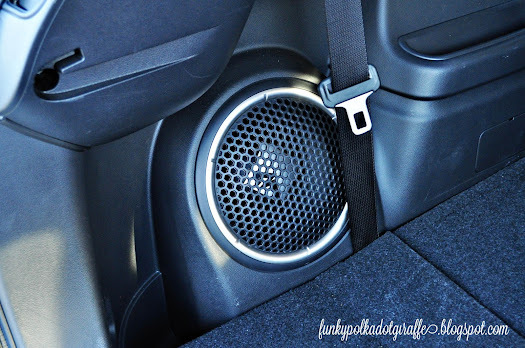 I love a good loud song, with strong bass that I can blast as I drive down the road and sing a long to. The thump that the 710W Rockford Fosgate Premium Audio Sound System with 9 speakers puts out is AMAZING. I loved thumping down the road with the bass turned up and the windows rolled down and the weird looks I got from teenagers when my bass was better than theirs. That being said, my kids did not love it, especially if one of them was sitting in the third row. She said it shook her and she could feel it in her body, exactly what I was going for, but not exactly her favorite. So when I was alone or just with the toddler, who shares my love all things loud music, then we let it rip! Do you need a little or do you need a lot? 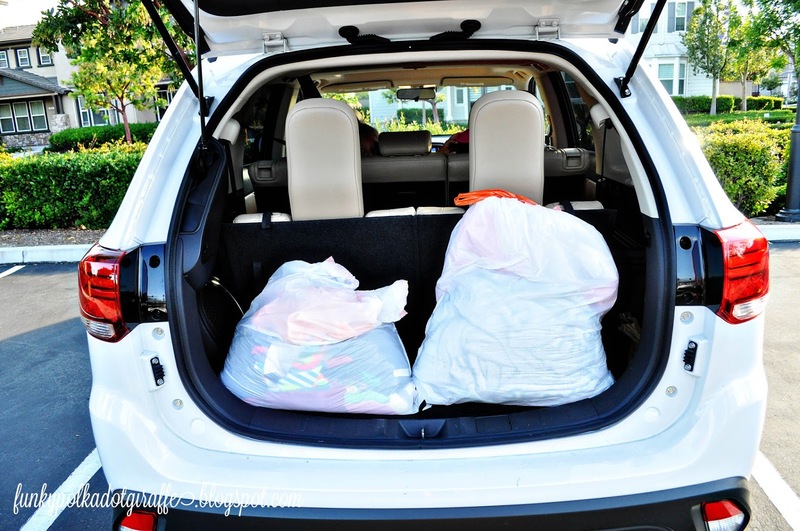 With a toddler and a stroller an boogie boards, and backpacks for carpool most of the time I needed a lot and I was fantastic to have the option to fold down the third row and have the space I needed to haul around all the things that come with 3 kids in the car. Like I said above, things got really exciting that week when my sister and her 2 friends stay with us for the graduation trip. I thought they would be driving themselves around to their various destinations in Orange County, but being from a small town in Utah can make you wary of things like "take the 405 N to the 5 N, to the 55 S", so they asked me to drive them around. Luckily the Outlander has the option of a third row and my 3 kids (with a car seat), plus 3 recent high school graduates, and myself could fit comfortably and get where they needed (or rather wanted) to go. Where we live I feel like some of the parking spaces are TIGHT and you're parking so close to the person next to you. Or you park perfectly and the next person pulls in while you're in the store and parks right on the line, leaving you little to no room to open your door. So, I love the power folding side mirrors because when you remotely lock the car with the key fob, they fold in, so nobody is taking off your side mirrors in a parking lot or when you're parked on the street. It is a very comforting feature to have! 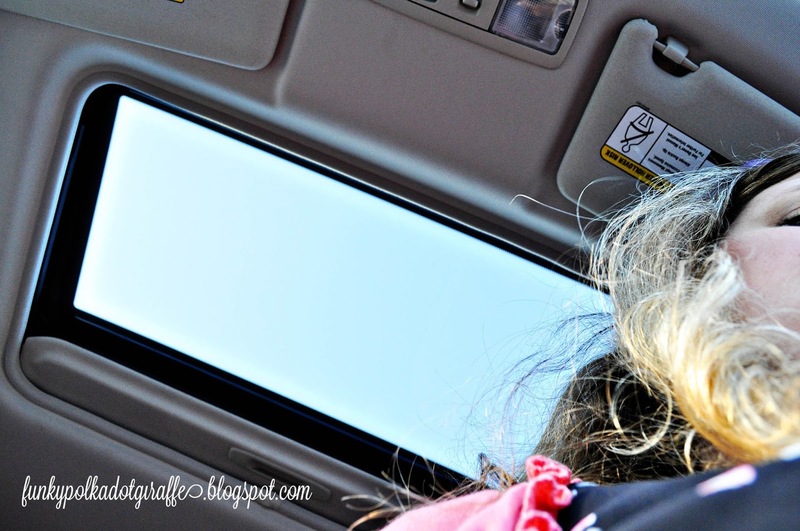 This may sound silly, but even after all the amazing things about the Outlander, my favorite feature was the sunroof! I've never had one before and I loved opening it up and riding around Orange County. The weather was perfectly perfect during the week and so we had a lot of opportunities to keep it open and enjoy the gorgeous weather. I mean, look at that blue sky! You can't beat it. My wishlist for the Outlander is short. I wish it had rear A/C control and I'd love if there was a little more engine power when you hit the gas and want to get going. Other than that, we had a great time with the 2016 Mitsubishi Outlander and I would recommend it to my friends with 2-3 children that are looking for a stylish get-around-townor commuter vehicle (gotta love ECO mode!) that has a lot of great features thatmaking being in the car a lot more fun. 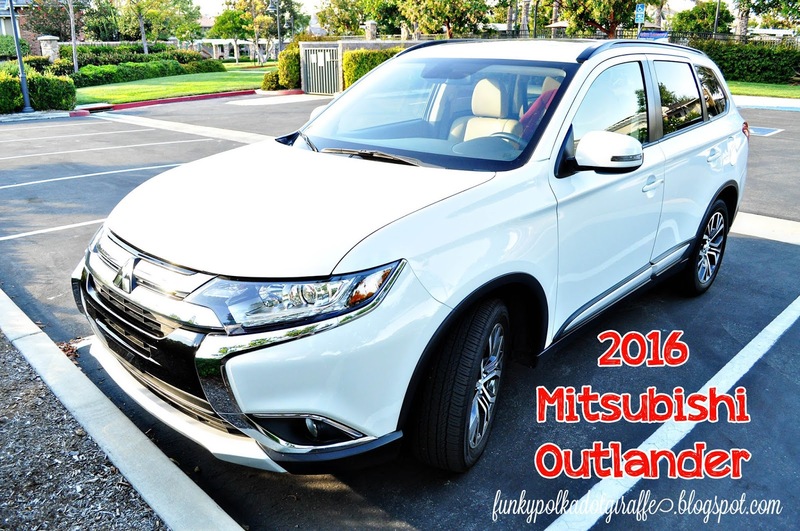 If you like a little video tour of the 2016 Mitsubishi Outlander, then visit my YouTube Channel and check it out! What's your favorite Outlander feature?